Baja Norte, Mexico’s Legendary Village of Langosta! The story begins in the early 50s, when in 1954, Rosa María Plasencia’s father first arrived to live on this special piece of coastal land, to fish the lobsters he was told were abundant in the area. Rosa María’s mother’s family came a year later. 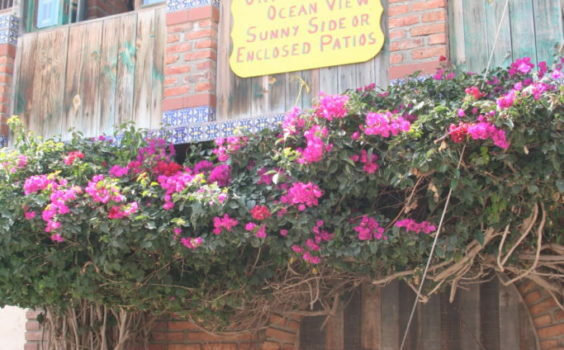 The young couple met, fell in love, married and built a tiny house across the street from what is now the family restaurant, Puerto Nuevo II, the rest so they say….is history. It is one of the greatest stories of the birth of a culinary destination as one could tell. During the 50s there were only two or three families living in the seaside village. The men went out to sea in their pongas to catch their lobster. Every afternoon their wives would await their return and they’d rush to heat up beans and rice, and prepare fresh tortillas. They’d slice a few in half, drop them into the bubbling lard and fry them up. This is how lobster Puerto Nuevo-style was born! Occasionally some fishermen from the USA would show up and ask the men to take them fishing in their pongas. When they came back in, they’d join in the local tradition. In about 1956, Rosa María’s father sent word to Guadalajara for his brother and sister to join him. They came and joined in the fishing and cooking. A few more families migrated to the area. One built a little stand next to the bus stop where the welcoming arches are now. They sold sodas, snacks and burritos. Next to their stand was a billboard advertising New Port cigarettes. 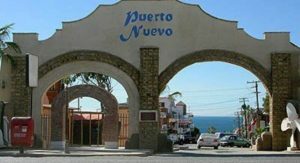 The visitors named the village after that sign, which, translated into Spanish is Puerto Nuevo! Over the years more and more people came from central Mexico. Some were intent on making their way to the USA, but stayed to fish and serve lobsters to the ever-growing crowds of visitors. A political activist, Señora Rentería, helped the families in Puerto Nuevo to get a grant from the government so they could have additional land to build on. She succeeded in getting 17 plots of land assigned to the locals and in gratitude for this, they named the village’s main street after her. 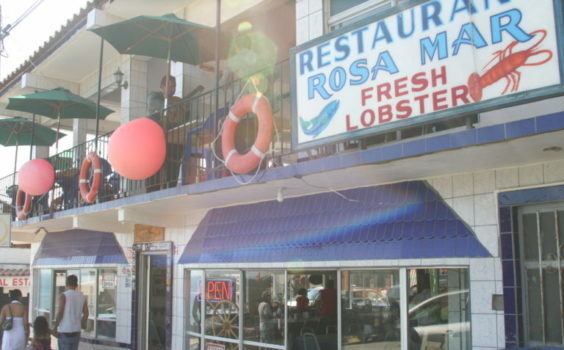 Restaurant Puerto Nuevo I, founded by Rosa María’s aunt and stepfather, was built on the first lot assigned. 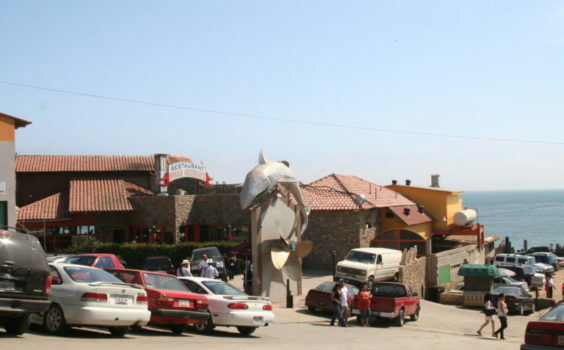 Puerto Nuevo II was built on the second lot, and got its name because of it. A third family built yet another restaurant. All of them charged about 50 cents for a lobster dinner back then. According to Enrique Murillo, people didn’t just order a dinner apiece. They came in large groups and ordered lobsters by the half or full dozen. They picked the live lobsters out themselves and watched, as they were sliced open and cooked in sizzling lard. Today their thriving village with its 30+ restaurants is still a hit with new and returning visitors. In the 70s when the Ortega family came to town and built four restaurants the village began to expand into more of a well-known destination. 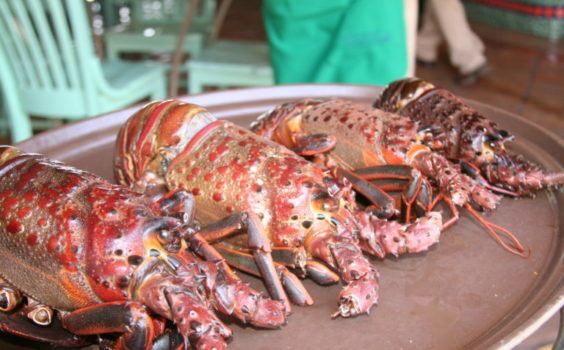 Today thousands travel to Puerto Nuevo to enjoy lobster dinners each week. 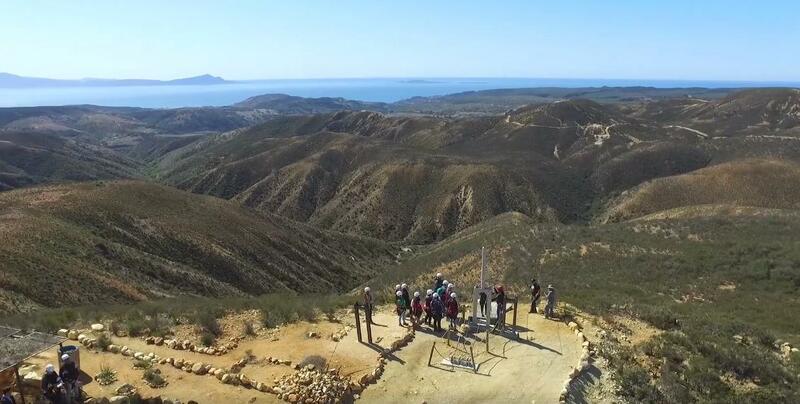 Some come after a shopping trip to Rosarito, others on their way to or from Ensenada, or the Guadalupe wine country. 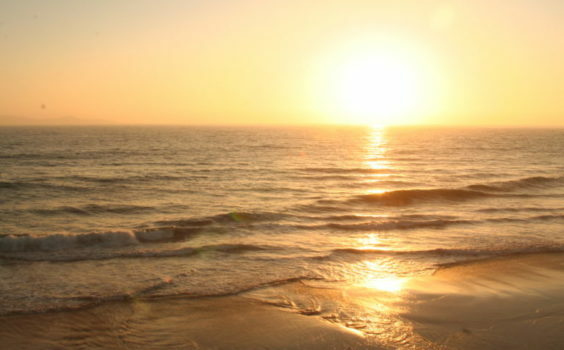 Some come on their way to or from southern Baja, but all come for the cuisine and charming atmosphere.